I sincerely apologize for my lack of posts lately! I have been quite over whelmed with the pressures of finals as well as work! But school is finally over for me which gives me some extra time to talk with all of you! Today I want to talk about summer! It is a fun time for sleeping in late, hanging out with friends, and the perfect solution to the school day blues! However a lot of people also dread a few things about summer for instance we may love the beach but hate the dreaded bathing suit shopping! 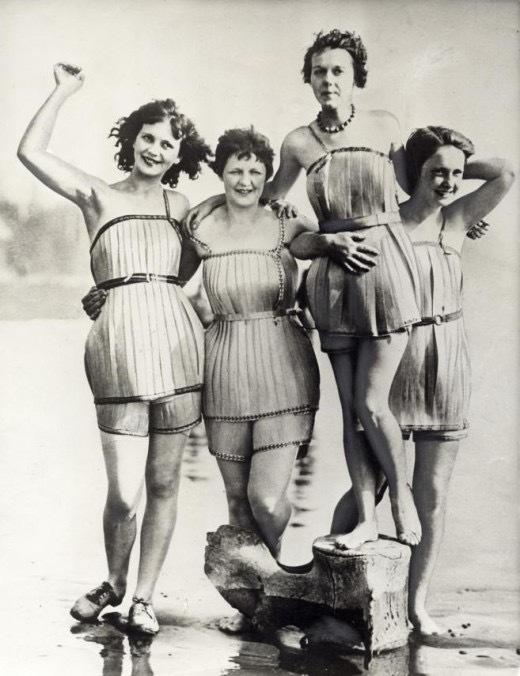 What ever happend to the swim suits from the 40s basically an extremely modest dress that was flattering on every body! But today we have Bikinis and tankinis and mockinis there are way to many kinis! And all the pressure of the months leading up to bikini season! You say you will go to the gym four times a week then that turns into two times a week then you just go straightto McDonald’s to get that shamrock shake you missed in March because you had your heart set on the ity bity bikini instead. And that’s all because let’s face it, it feels hopeless and takes way to much time for a few trips to the beach or public pool! Well I’ve been there to just like every other woman in the world! Even the woman you see at the beach that made you wish you stuck with your gym routine has felt the same way! But I’m here to tell you it doesn’t matter! Fitness is great everyone needs to be healthy and happy but your reason behind being healthy shouldn’t be that ity bitty yellow polka dot bikini, the reason should be you!! I don’t care if you are a size 0 or a size 20 you are all beautiful and need to see that when you look in the mirror! If you feel beautiful you are beautiful! It’s all about that little thing called confidence! Staying healthy is important you should all listen to your doctor so that you can live a long healthy and happy life! But some people get to consumed with being a perfect size 2 or having the perfect figure that they do dangerous and foolish things to get there! Nothing is worth harming yourself by starving yourself or doing anything else unhealthy to achieve this look! Eating disorders are illnesses that need to be addressed so that you can live a happy healthy life! Believe me when I say that bikini is not worth a life time of struggle or sickness!